P.S. Thank you so much for your comments on my food photos! Great picks, love the candle holders and of course that scarf!! I seriously want one of each of these things! 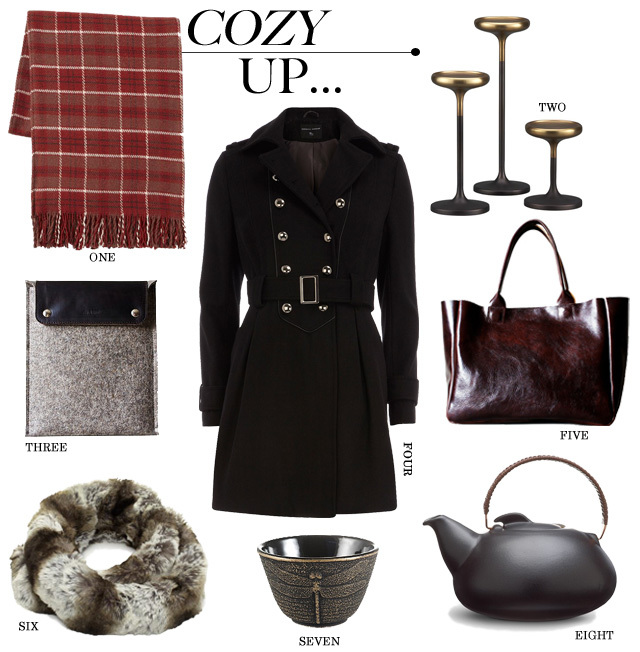 LOVE the candle holders, the coat and the bag most of all! Oh yes please! I'll take one of each!! I NEED that scarf! OMG. Can I have it all!!!! That Dorothy Perkins trench is... magnificent. Love it. That tote is calling my name. I still haven't found "the" bag for me yet and I've been searching. That is simple, classic, and chic. Do you have one or know anyone that has one? The price is right too. So needed all of these items yesterday! It was so nasty here. I want #5, what a thing of beauty. Actually all of these things grouped together make my pine for everything. Count me in for one of everything, too! Enjoy your weekend.